Storiqa’s blockchain based marketplace for small-scale businesses is now active at beta.storiqa.com and caters to anyone wishing to shop with cryptocurrencies, particularly focusing on the APAC region. The number of online shoppers keeps steadily rising worldwide, but their shopping options are still somewhat limited. For instance, only a few outlets and merchants accept payments in cryptocurrencies despite the growing popularity of digital assets, so millions of crypto wallet owners still cannot utilize their coins in everyday transactions. Besides, online customers often face the issue of a rather poor choice as a result of barriers to entry in the global market being too high for many promising but small-scale businesses. Such enterprises cannot afford considerable investments and high marketing expenses or compete with long-established global corporations in terms of service quality and customer support. Another problem is the lack of consumer confidence in new market players. The Storiqa team set out to resolve these issues and create an innovative global marketplace for every small-scale producer worldwide, with minimal transaction fees and no financial borders, intermediaries, or red tape. The company’s solution offers small businesses a ready-to-use interface, enabling everyone to easily create and manage a personal online shop with the option to sell and buy goods with cryptocurrencies. The core part of the Storiqa ecosystem is its STQ token. Unlike many other tokens, it is backed by real products in the Storiqa marketplace and can be used for buying them. 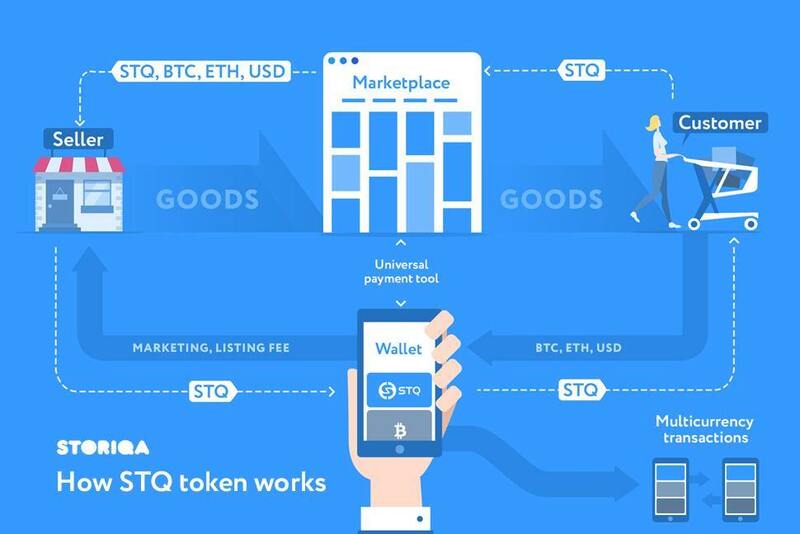 STQ is also the only payment option when it comes to fees and other platform services. Finally, buyers who use the token are offered higher cashback and better discounts. Currently, STQ is found on 13 exchanges, including HitBTC and Coinbene, and was recently listed on KuCoin, further pushing the platform’s growth. Importantly, the company is not just sharing its vision and daydreams - it has already achieved noticeable results. In January 2018, Storiqa reached its hard cap of $25 million, and in May 2018, it released its beta MVP, Marketplace Storiqa. The team followed these achievements with the June presentation of the Storiqa Wallet prototype. Moreover, a public test of the marketplace is happening in November, with everyone invited to try crypto shopping. For now, it is primarily focused on Singapore, but Storiqa intends to expand it into other markets as well. If you are interested in the project, head to the official website for more details or subscribe for updates on Twitter and Telegram.